Make a right at bottom of ramp – immediately get into left lane because you only go about 50 yards. at this point Turner Road is now called Brookhaven Road. Turn left onto Edgmont Avenue and go approximately one-half (1/2) mile. Go West – all the way to just before Granite Run Mall. Proceed approximately 1/4 mile past Blue Route (476) Interchange to Turner Road (on left) Turner Road Turns into Baltimore Pike. 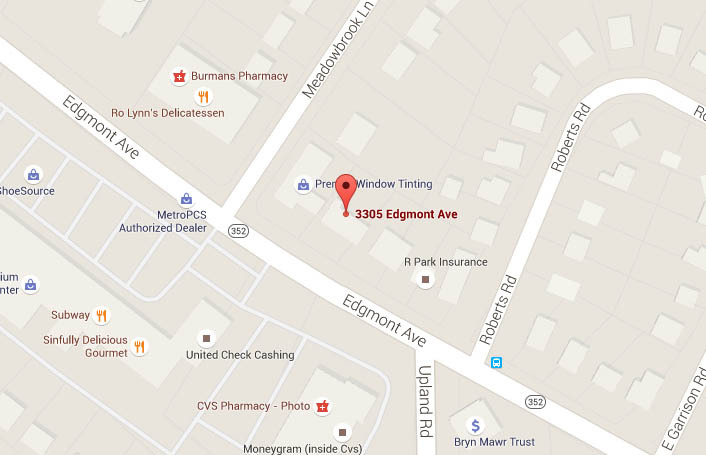 Turn left onto Edgmont Avenue and go approximately 2 mile.